Unripe pomegranate, green with a hint of blush. August 5, 2013. 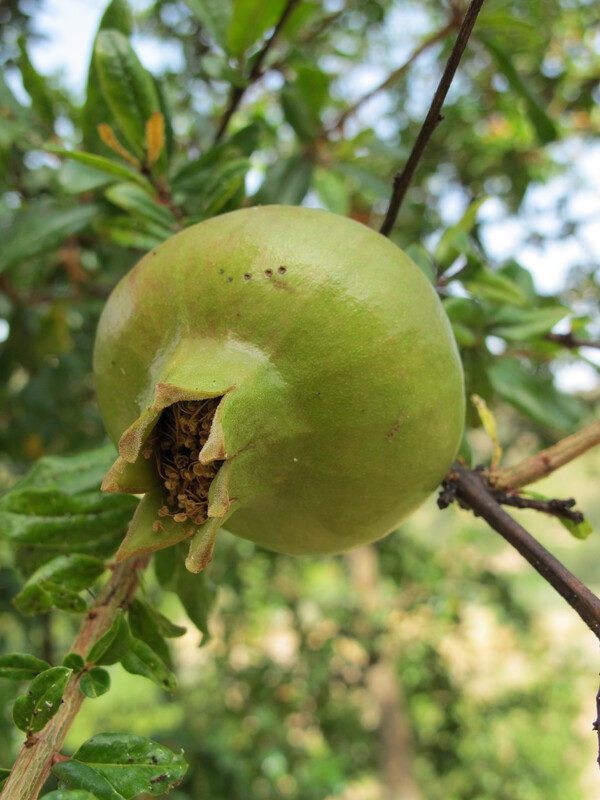 This entry was posted in Fifty Shades of Green and tagged Andalucia, green, nature, photography, pomegranate, Spain on September 18, 2013 by sandradan1. What a lovely fruit is a pomegranate – to eat, to see, to contemplate. Watch out for the pomegranate recipes to come!